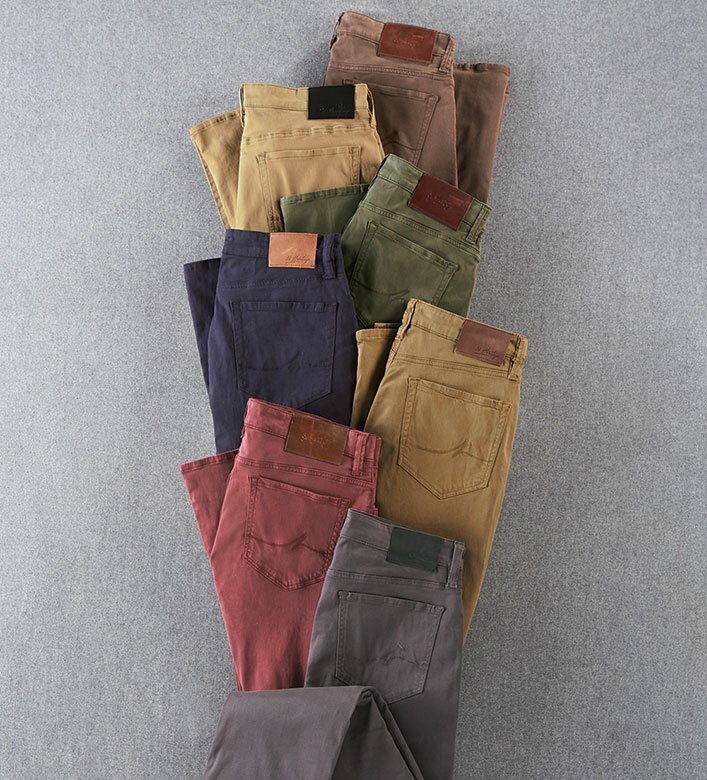 Comfortable, brushed twill with just the right amount of stretch. Classic fit, comfort rise, five pockets, straight legs. 7.5-ounce 56% cotton/42% tencel/2% elastine. Machine wash. Imported. 34" inseam.